Our Forks Resort Center provides luxury and comfort within the heart of some of Maine’s best country for big trophy whitetails. Bucks over 250 pounds are registered each year at local tagging stations, including a 303-pound monster shot recently just a few miles from the lodge. 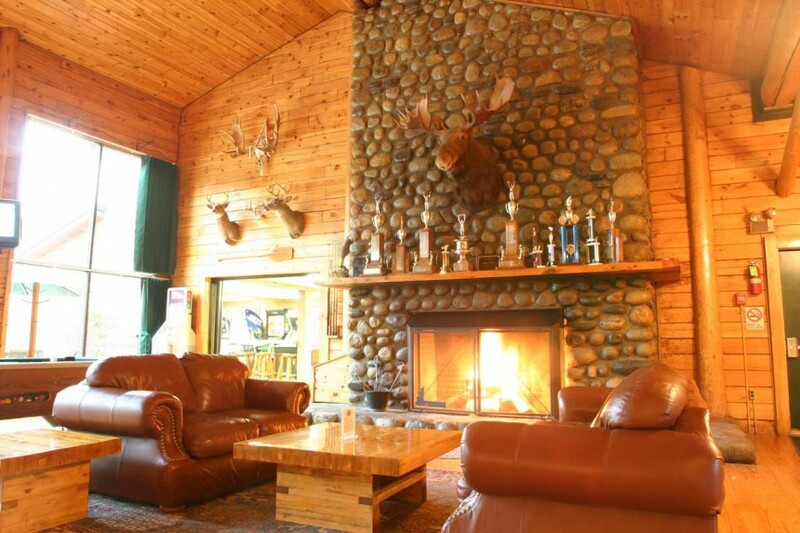 Set amongst hundreds of acres of forest on the shores of the Kennebec River, the Forks Resort Center is your base of operations for all guided and unguided hunts. 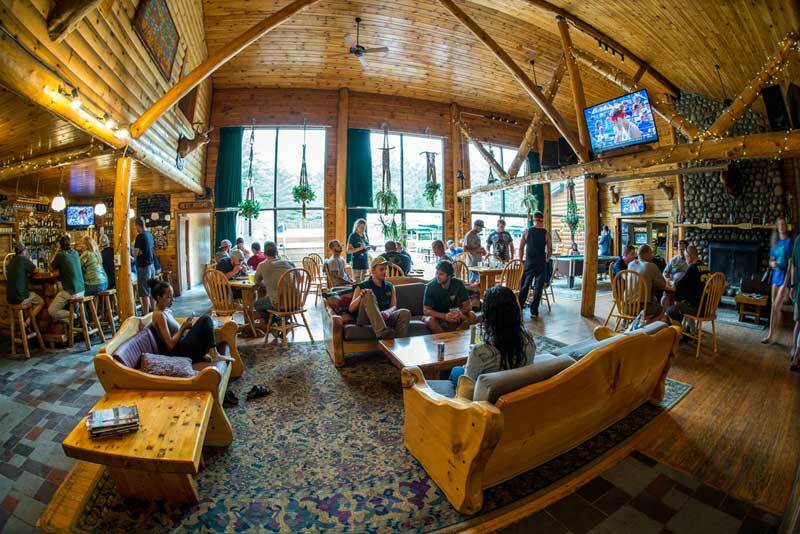 The open timbered main lodge is a popular gathering place with a towering stone fireplace, comfortable lounge with satellite TV, restaurant, and our brewpub. Here you also find a well-equipped fitness room, and a game room with pocket billiards, air hockey, and foosball. Our Kennebec River Brewery means you can enjoy a variety of the finest beers of the North Woods – Northern Lights, Kennebec Lager, Magic Hole IPA, and Penobscot Porter, to name a few – carefully crafted using only the finest ingredients. We offer both guided and unguided hunts. The guides at Northern Outdoors have years of experience hunting the area and work at about a 1:6 guide to hunter ratio. We use tree stands as much as possible and will keep you in active areas during your stay. The guides spend a majority of their time scouting for deer and setting up or relocating tree stands. During the day they either take hunters to specific areas or see to it that each hunter knows exactly where to go. Their primary responsibility is to do all they can do to ensure a successful hunt. Our guides do not hunt while guiding. Hunters who choose a guide enjoy the advantage of having their scouting done in advance, and having tree stands already in place in productive spots. On unguided hunts, we will recommend areas to hunt and try to be helpful, but you are on your own for the week while in the field. All guided and unguided hunting packages include a full meal plan with buffet-style breakfast, hearty picnic lunch, and a variety of dinner choices sure to please any appetite. Of course, special dietary needs can be accommodated with advance notice. 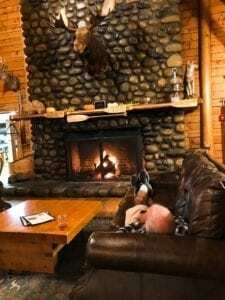 Full Week Lodge Package: Includes deluxe lodging and all meals commencing with dinner Sunday evening through lunch on Saturday. We hunt Monday through noon on Saturday. This package is available all 4 weeks of the season. 3-Day Lodge Package (Weeks 1, 2, and 4 only): For those on a limited budget or short of time, we now offer a complete 3-day guided package. Includes guide, deluxe lodging, and all meals commencing with dinner Sunday evening through lunch on Wednesday. We hunt Monday through Wednesday. This package is available 1st, 2nd, and 4th weeks only.